SPA Town Frantiskovy Lazne was established in 1793. Due to its neoclassical spa buildings and pavilions Franzienbad (Frantiskovy Lazne) preserved the rare atmosphere of the early 20th century &. The town is regarded as one of the most charming spa town in the country. The Frantiskovy Lazne area offers very moderate climate, clean air & no noise city life. Various parks all-around the town with its promenades are a just right location for stress-free walks. All these reasons add to the healing effects of the local mineral water that each year attract numerous spa-guests. 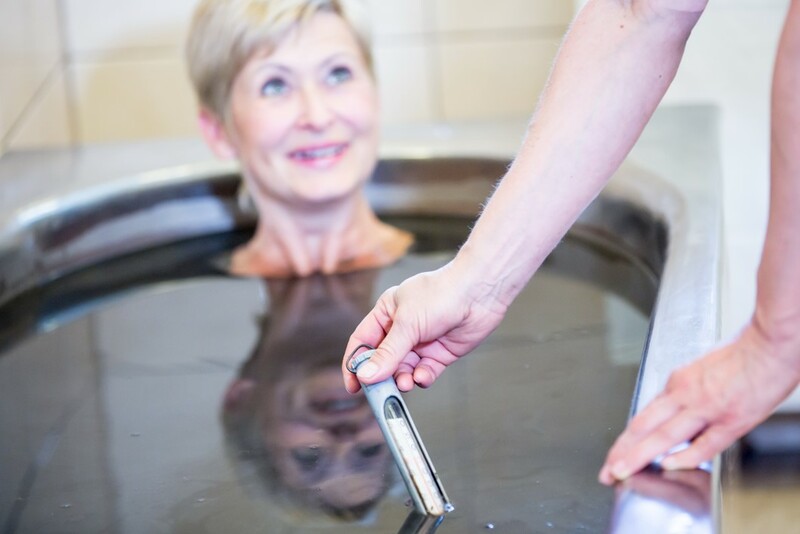 21 springs containing mineral water rich in minerals and sulphur, peloid with fe, and natural gas are used to treat illnesses of the cardiovascular and locomotor systems, gynecological issues and sterility. These resources are also used for healing of sufferers following heart attacks. The genuine treasure of Frantiskovy Lazne (Franzienbad) are 20 mineral springs (Glauber's springs) used for drinking as well as bathing. The therapeutic spa is situated on rich deposits of sulphurous ferric peat bog, which is suitable for baths and wraps. A natural leak of carbon dioxide is in addition frequently used for curing. The local mineral waters are alkaline, salty and saturated with carbon dioxide. The oldest source of mineral water is the Frantisek Spring, known already in the 14th century & properly documented in 1793. The most important are the Glauber's sources number I, II, III and IV. The last one wells up from the depth of 93 meters underground and has the maximum content of Glauber salt in the world. The mineral waters from the Glauber's springs are strong laxatives. On the other hand the water from the Church Spring is used for curing moderate digestive problems. Water saturated the most with ferum can be found in the Ferrous Spring. It is used for curing weariness, exhaustion as well as anemia. Frantiskovy Lazne (Franzienbad) offers a broad range of healing therapies. The main procedures focus on gynecological problems (adults & children), sterility, heart & cardiovascular system & blood vessels problems, musculoskeletal system problems and also oncologic problems. Sterilization and infertility, miscarriage, pathophysiology of ovarian and uterine development, inflammatory gynecological diseases, states subsequent to gynecological conditions and operations in the pelvis, functional disorders, climacteric syndrome, pain syndromes. Kinesiotherapy: group, personal, with equipment, fitness. Supplementary: inhalation, o2, drinking therapy, aromatherapy.